The KSI 2109 Wireless has been discontinued. No direct replacement is available. 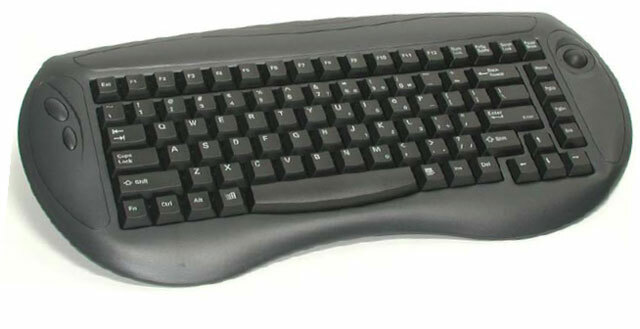 The 2109 Wireless Black wireless infrared keyboard comes with full size typing keys and built in trackball. Keyboard comes with your choice of a PS/2 or USB receiver unit. Transmission protocol broadcasts up to 9 meters in a 45-degree conical projection giving broad receiver coverage from anywhere in the room. Keyboard comes with your choice of PS/2 or USB Receiver unit.